When a new product, technology or service is accepted widely by the people due to its extensive usability and problem-solving approach, it immediately becomes a thing of the past. It feels like its existence is since many years although it arrived just a couple of years back. Now, people use wireless headphones to listen to music and have completely forgotten the Walkman. With the advent of the Internet, every information you need is just a click away on your PC/laptop/smartphone. With its exorbitant usage, its origin and history are things of the past. Same is with Cryptocurrency and Bitcoin. They are now in rage and their origin is a thing of the past. There were many experiments carried out to bring in an alternative to the conventional fiat paper currency. It all started way back in the 1980s by an American cryptographer named David Chaum. He invented the first form of Internet money known as “DigiCash” as an extension to the popular algorithm RSA. It ended up in bankruptcy in 1998. A series of start-ups came up to do something new in the world of digital currency but failed due to its base on centralization. The one who succeeded in digital payments is the well-known PayPal. Along with PayPal, e-Gold was introduced to the world which accepted gold from the users in exchange for digital “e-gold” units of currency denominated in ounces of gold. But it ceased to death due to its dubious illegal activities. The world was in a dying need to have something reliable and decentralized power. In 2008, a new cryptocurrency named bitcoin was firstly stated in a whitepaper entitle “Bitcoin — A Peer to Peer Electronic Cash System” under the name “Satoshi Nakamoto”. There is just a name assigned to the invention of bitcoin, nobody knows who is Satoshi Nakamoto, is it a single person or a group of individuals, it is still a mystery. It is developed on the concepts of decentralization, anonymity and blockchain. Apart from these, the previous digital currencies also experienced a problem called “Double Spending”. It means that suppose a person has transferred $100 to a merchant, he can also transfer it to another merchant as well. There were no check posts on these digital currencies and many people took disadvantage of this loophole, ultimately resulting in the death of such digital currencies. Nakamoto also thought of a way out to prevent this “Double Spending”. Here, every single user connected to the network has to agree upon the transaction to make it work. In the onset of 2009, the first bitcoin was released and thereafter technology enthusiasts started exchanging and mining bitcoins. Its value in the initial phase was almost nothing. This is because it was never been traded and only mined. As it was a decentralized currency, no one knew its monetary value. The very first transaction recorded of Bitcoin in exchange for US dollars was when a person name Martti sent 5050 Bitcoins to an organization named NewLiberty Standard for $5.02. This transaction made people think how much is the actual worth of bitcoin. Prior to this, no one had ever sold or bought bitcoins, so NewLiberty Standard came up with its own method to determine the value of bitcoin. 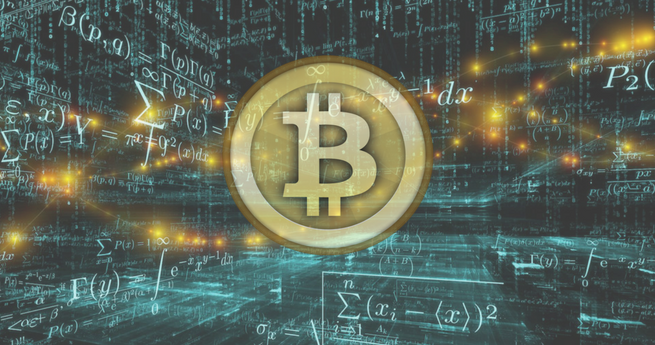 The value of bitcoin was determined by calculating the cost of electricity needed to generate the coin, from its own electricity bill. The result was $1 for 1,000 bitcoins. On May 22, 2010, Laszlo Hanyecz bought two pizzas worth $41 by providing 10,000 BTC. This day is now celebrated as “Bitcoin Pizza Day”. Like this, people started becoming familiar with bitcoin and its value boomed. Bitcoin’s value has seen many ups and downs in its life till now. The price of bitcoin had reached about $1,000 at the end of 2013. The highest rate achieved till now is about $20k. And now it fluctuates around $10k. With bitcoin’s gaining popularity many other cryptocurrencies were released which are also known as “Altcoins” collectively. These altcoins are basically developed with the purpose to eliminate the remaining loopholes of bitcoin. The first ever altcoin is believed to be “Litecoin”. There are about 1000+ cryptocurrencies in circulation today, some popular names are Ethereum, Litecoin, Ripple, NEO, Monero, Dash, etc. Thus, cryptocurrency and bitcoin turned out to be an amazing concept so far. Let’s hope for its better future! Interested to know more? Keep in touch by joining our Telegram group. Chat with us to discuss your queries and doubts. To stay updated on latest news, follow us on Facebook, Twitter and LinkedIn.